The suspect was a 24-year-old white man. Police zeroed in on him over the past 36 hours as evidence came in from video footage and witness accounts. 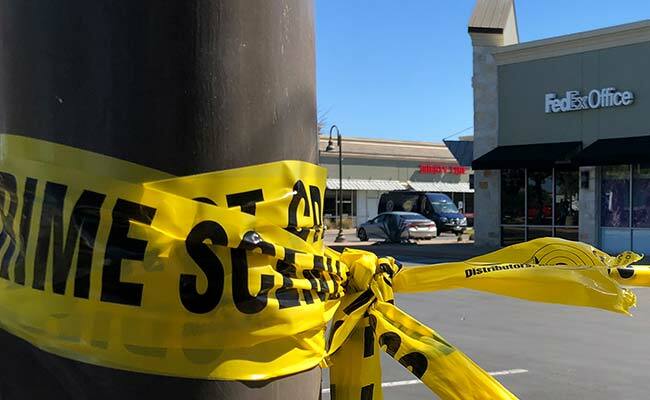 Washington, United States: A man being sought over the Austin parcel bombings blew himself up early Wednesday inside his car as authorities moved in to arrest him, police said. "The suspect is deceased," Austin police chief Brian Manley told a news conference. Manley said the suspect is believed to be responsible for all five bomb explosions that have killed two and wounded several more and put people on edge in the Texas capital since March 2. Police had traced the man's car to a hotel outside Austin. As authorities waited for tactical teams to arrive, the man started to drive away. As police moved to stop and arrest him, the man detonated a bomb inside his car and was killed, Manley said. One police officer was injured by the blast. The suspect's motive is not known, he added. Manley said the suspect was a 24-year-old white man. Police zeroed in on him over the past 36 hours as evidence came in from video footage and witness accounts, Manley said. "It has been a long almost three weeks for the community of Austin," the police chief said. CBS affiliate KEYE in Austin published what it said were photos of the man, wearing a blue baseball cap, gloves and possibly a wig as he dropped off packages Sunday at a FedEx office. The photos came from security video at that office. One of the Austin bombs went off early Tuesday at a FedEx sorting facility. Manley said it was not yet known if the man was acting alone or with accomplices.